You may think that you don’t need a professional to sealcoat your driveway or fill cracks in your pavement surfaces. However, asphalt contractors are knowledgeable, experienced and use quality products. Take a look at these five reasons hiring a professional is your best option. It is important to understand seasonal cycles and common maintenance needs specific to your area. As a locally owned and operated company, Aegis Asphalt uses products that are best fit for the Eugene and Willamette Valley climate. 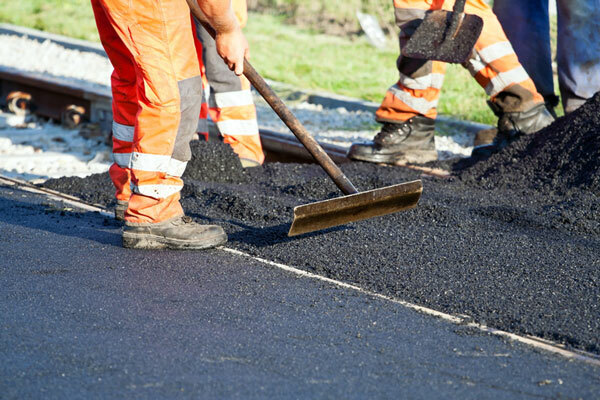 As a professional asphalt contractor, we will develop a maintenance plan that is efficient for you. If you are a business owner, we will conduct our work with minimal disruption to your customers and employees. Are you aware of fire codes and ADA guidelines, especially for commercial parking lots? Aegis Asphalt is fully knowledgeable about local and state government regulations and will ensure that your parking lot is fully compliant. We use Armorseal’s #A-100 Heavy Duty pavement sealer. This jet-black sealer allows for maximum adhesion, durability and flexibility and is resistant to jet fuels, oils, grease and oxidation. Hiring a professional asphalt contractor means achieving the highest level results. We will carefully evaluate your asphalt surface and focus on a finished product that is durable and safe. Aegis Asphalt provides asphalt maintenance, sealcoating and much more to residential and commercial clients in Eugene, Springfield, Roseburg, and the Oregon Coast. Contact us to learn more about our services.